The Tomorrow’s Doctors session at this year’s TechFest is being hosted by the Aberdeen Student Society for Academic Medicine, with undergraduates specialising in a range of clinical studies. Aberdeen University is actively encouraging its medical students to pursue careers in clinical academia. Future doctor Ross Porter, who is currently in his fourth year of study, will be sharing his findings on how the immune system affects cancer development in the gullet. He said: “This event is unique, because this research has never been shared with the general public before, and I look forward to the thought-provoking discussions that will inevitably unfold. TechFest is the north-east’s annual celebration of science, technology, engineering and mathematics (STEM) and will run until September 25. A crucial aim of this year’s festival – which is jointly funded by energy giants Shell and BP – is to encourage young people to get involved in stem subjects as careers. TechFest chief, Alies Bartelds, added: “We are very excited to have medical students from Aberdeen Uiversity sharing their research with us as part of this year’s festival. 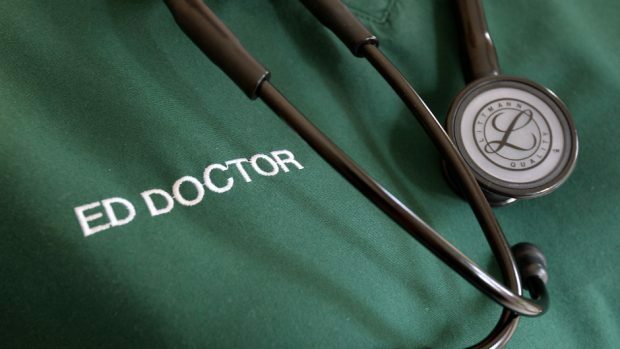 The Tomorrow’s Doctors: Medical Students Leading Cutting-Edge event will take place on Wednesday from 6pm at Aberdeen University’s Fraser Noble building. Admission is free. Other highlights from this year’s public programme, which is sponsored by Statoil, include author Nick Arnold presenting a family-friendly Horrible Science Show session on Saturday.